Bluebells, Blossom and Birdsong . . . 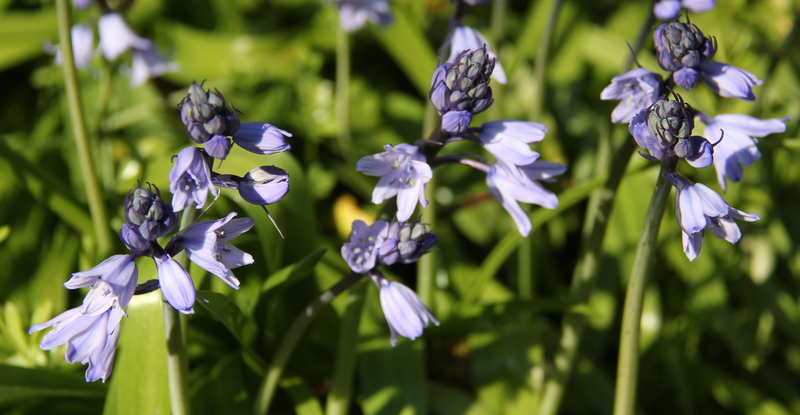 Here in the sun under a cloudless blue sky in Devon, bluebells, blossom and birdsong are the orders of the day. As is taking barefoot pleasure in the green grass of home. 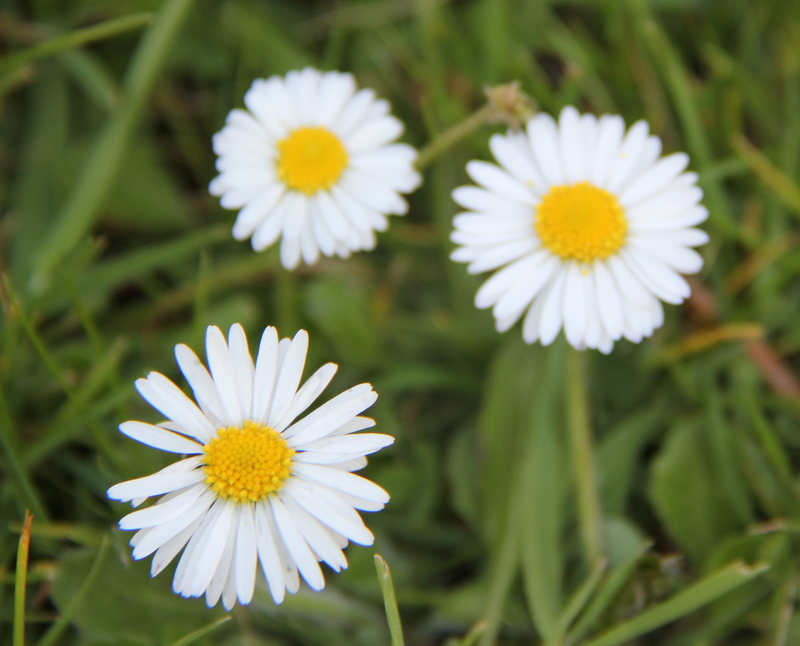 The gentle warmth of spring sunshine has brought out the happy smiling faces of so many pretty lawn daisies and I shall give them their time in the sun before bringing out the lawn mower to cut the grass. After the long, cold, hard bitter winter when freezing temperatures had a feeling of forever to them, the bliss of feeling warm is such a primal pleasure. Re-growth and re-generation, brought about by this warmth is everywhere. Somewhere into nature’s calendar slipped the narrative of Easter, the resurrection of Jesus being the ultimate offering of eternal life and re-growth. Jesus, being Jewish, would have celebrated Passover which takes place on the night of the full moon after the spring equinox. Indeed, the Last Supper was a Passover get together. I think. I am certainly no scholar on this, or any other topic so please, do feel free to set me right on my confusion. Chocolate, chickens and rabbits have run away with the Easter story and why not? They too are part of spring re-growth. Chickens are hatching, rabbits are doing what they do best and fields are full of spring lambs gambolling on young rickety legs. Newspapers and magazines are full of exciting recipes for turning these sweet creatures into festive feasts. Churches, previously shrouded in Lenten bareness and funeral purple, become greenhouses of earthly delights come Easter Sunday. Blossoms sit high on altars, daffodils are everywhere and the joys of spring have people out and about in the streets wearing sunshine smiles. Newspapers, when not running amok with details about a certain wedding, are also covering developing events in Libya, the wars in Iraq and Afghanistan mentioned almost in obligatory asides. How we all wish for these issues to simply go away. But to wish this issue out of the way is to ignore the loss of life endured on all sides with further losses to come. Warfare is now fought on a digital scale of incredible technological detail but results remain barbaric and catastrophic. Dead soldiers and civilians do not make come-backs. They don’t get Good Friday’s to call their own. 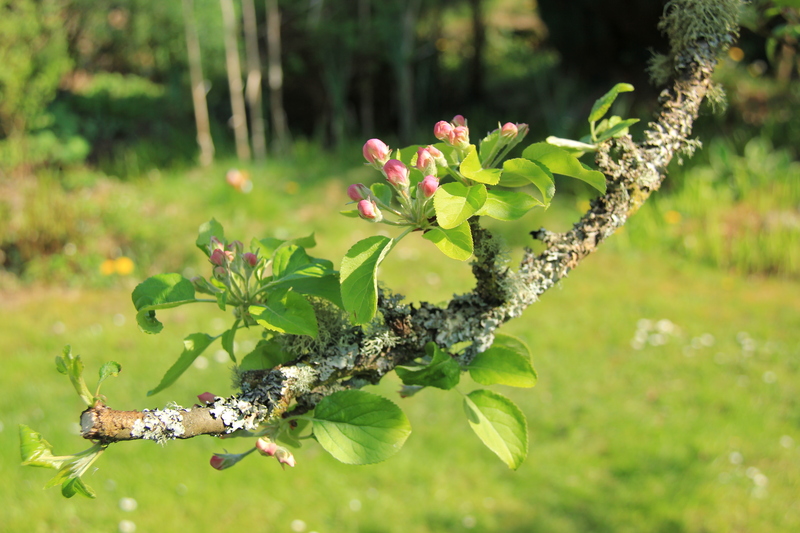 Blossom however continues to bloom on the aged branches of the old apple tree, and, while the grass grows and the sun shines, hope springs eternal. That young men and women everywhere grow to be old with the delights of spring to bring them out of the long, cold lonely winter. Warm spring days and autumn days, and of course, Happy Easter, to all! The soft grass is calling . . .
BTW, what happened to “The Road to Death Vally and Beyond”? It was in my inbox but it’s not here. “Death Valley . . .” might have been published accidentally, then deleted just as accidentally. I did an edit with the “more” tag and at some stage I went cross-eyed. Happy Easter to you and your family and do hope it cools down a little for you.